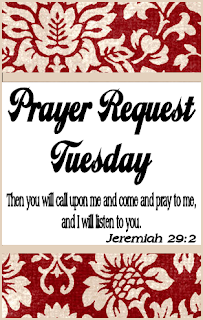 If you have a prayer request, please list it in the comments below. You don't have to give any information you don't feel comfortable with. (A simple "unspoken" comment is sufficient). If you would like to pray, then please pray for the comment above yours. Also, if you would like to share a "praise" for a blessing you have received please feel free to leave a comment so we can all rejoice with you! I have a praise! We got an offer on our old house but request that the deal works out (it seems so many hit snags these days.) We have needed to sell for over a year and just got an offer!!! Thank you, sweet girl! Hi! I found you from the Ultimate Blog Party 2011 and I wanted to invite you to join my Directory for Review and Giveaway Blogs (if you haven’t already). It’s an easy way to increase exposure to your blog and it’s Free. In honor of the Pioneer Woman on FoodNetwork !